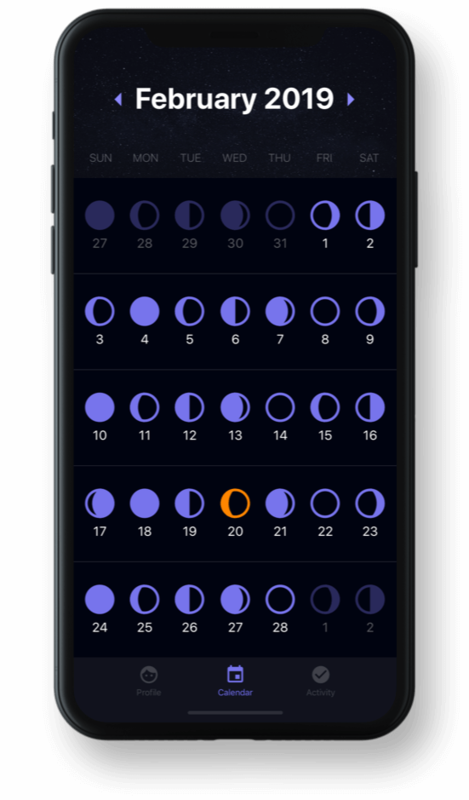 MoonAge is a unique iOS application that automatically calculates and updates your age based on new moon phases. With every full moon, the app sends you alerts about your new moon age. All you need to do is enter your birthdate and birthplace into the MoonAge application. As a bonus, it also shows your daily horoscope. Teddy Cannon, the founder of MoonAge, conducted research and discovered that many people all over the world were interested in moon parties and other events tied to moon phases. So he came up with an idea for a non-traditional age calculator. Teddy then looked for a reliable partner who could understand his idea and develop this uncommon application from scratch. Beyond the phases of the moon, users can see daily moon illumination percentages. 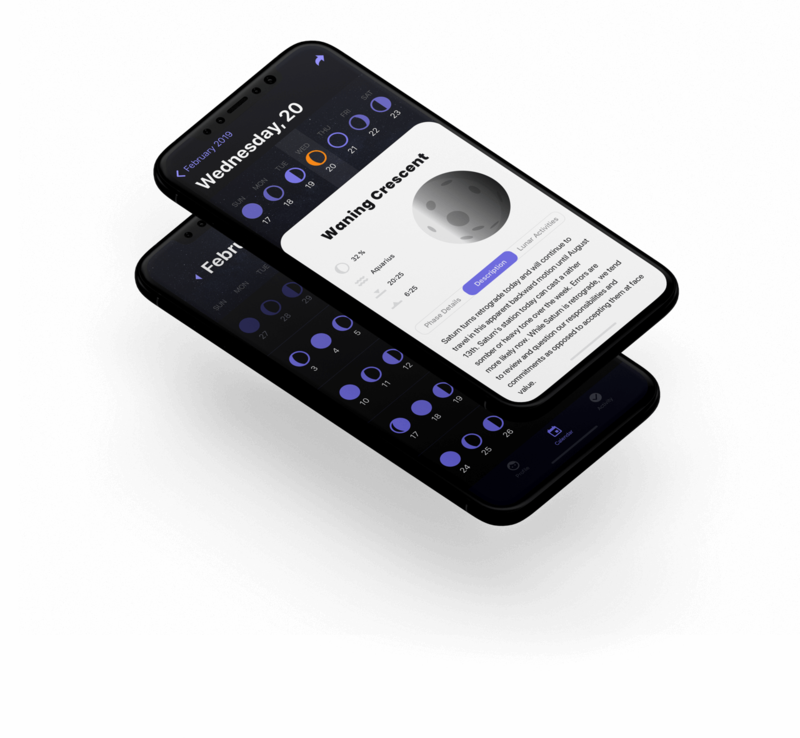 MoonAge provides users with a detailed description of the moon phase for a particular day including lunar activities, sun and moon altitudes, and more. Users can easily switch from a Horoscope to a Moon Age tab. The RubyGarage team analyzed the entertainment market and the core audience of the MoonAge project. We understood that people keen on moon phases are often interested in horoscopes as well. Therefore, we offered to create a Horoscope tab in MoonAge. We also scrutinized the existing technologies for creating iOS apps and decided to build MoonAge in Swift. Swift is a clean, safe, and easy-to-maintain language that helps improve the efficiency of app creation. 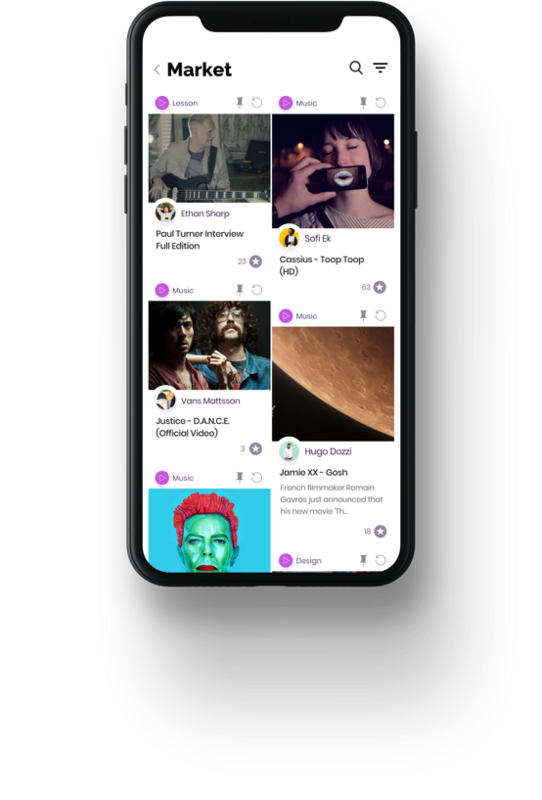 Our development team used several third-party libraries to build an effective MoonAge backend and make the app operate correctly. 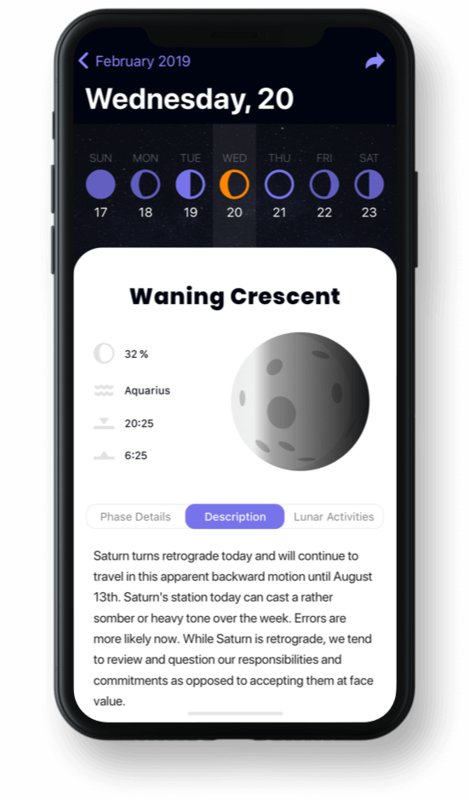 MoonAge is the first iOS app that calculates a person’s age in lunar years and serves personalized horoscopes. 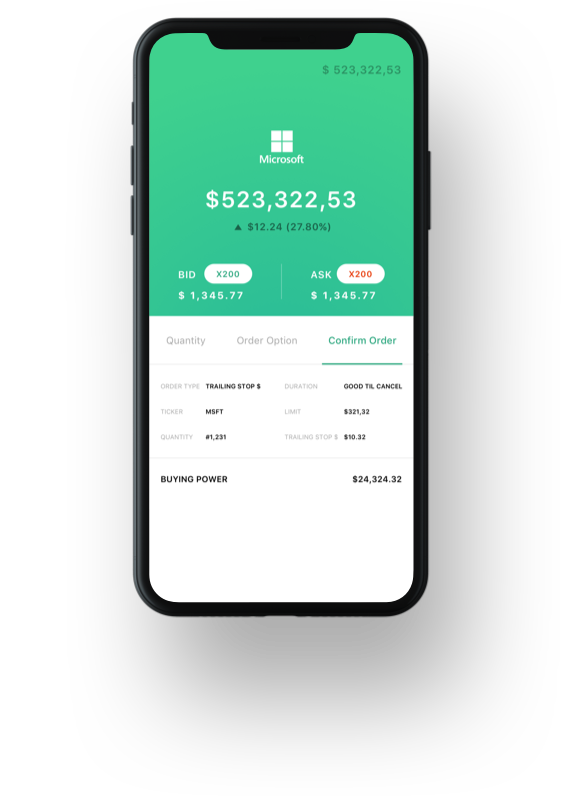 The app requires a minimum of information from users, making it truly easy-to-use. 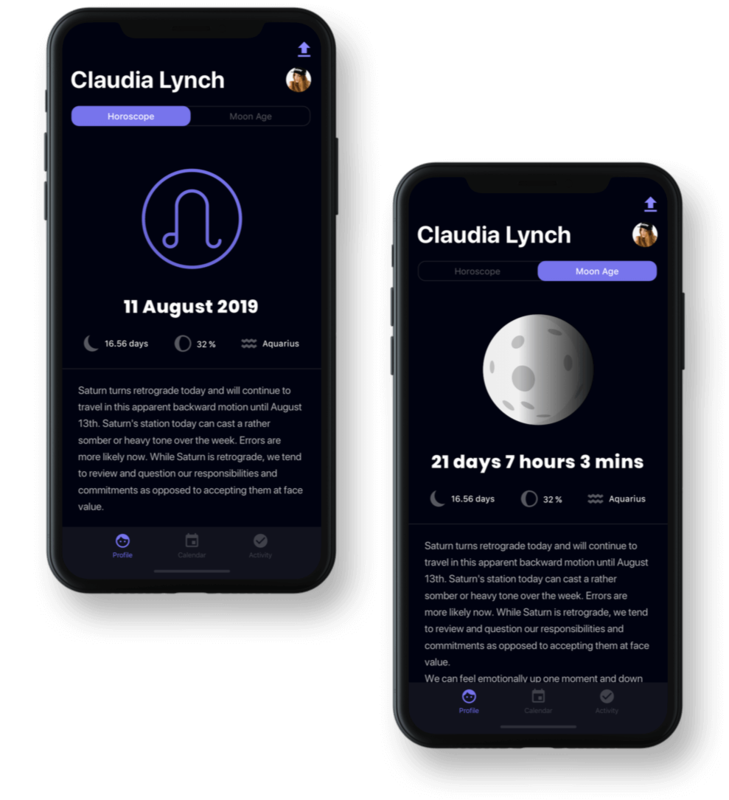 The RubyGarage team helped Teddy Cannon realize his vision and create the first iOS app that satisfies the needs of two core audiences: people interested in lunar events and people who are passionate about astrology. As an entrepreneur, I guess by nature I get a thrill in undertaking projects without knowing how. Stepping into a risky venture involves massive amounts of thinking, research, advice, courage, and trust. All the while understanding that, despite all of the aforementioned, your entrepreneurial path will be like no other and failure is definitely on the table. An easy thing to write… not an easy thing to actually do. In order to move forward on this path you must trust that where you’re stepping is going to be solid business ground. Before I stepped into mobile app development, I talked to many people and got many recommendations for companies to work with. And, although many of the companies recommended to me were very reputable, there was something different and exciting about RubyGarage. After several in-depth Skype meetings, there was no question that they were my app developer. It wasn’t that they understood me/my app right off the bat. They didn’t and they didn’t hide that at all. They remained open-minded, continued to question and together we brought a wild idea to life. The finished product is the real deal! Throughout the whole process I felt safe to brainstorm with them in a business realm I had no idea about knowing their advice would be accurate and sound. That safety has fostered a great partnership. One I hope to have with them for a long time. I highly recommend RubyGarage on so many levels. A decision to go with them is a right decision.